Thinking of signing up to a VPN? If you are undecided about using a VPN then the chances are you will want one that is cheap and affordable but doesn’t cut down on the benefits you get from a VPN. The VPNs in this article generally start from under $5 a month, a small price to pay when you consider the benefits you get. However, just because you are look for one that is cheap, doesn’t mean you should accept just any VPN. This article will show you exactly what to look out for when choosing a VPN to make sure you get one that will be both good value and also good quality. Why Would I Use A VPN? When it comes to using a VPN there three main advantages: the extra security given, the ability to access geo-restricted content, and the increased anonymity offered. One of the biggest reasons people choose to use a VPN is to access geo-restricted content online. Often video streaming services, for example Netflix, restrict the content available in certain countries. When you connect to a VPN server, the server can be anywhere in the world. As such, by connecting to a VPN server in a country that allows access to the content you want to view, you will be able to access the content as if you were in the country. This can also be used in countries that block certain websites. For example, people living in or travelling to China can access Facebook or Google using a VPN, despite those websites being blocked there. The second reason to use a VPN is for the extra security it offers. When your data travels to the VPN server it is sent through an encrypted tunnel. This makes it much harder for anyone to see your data. This can be especially useful if you are using the internet on an unprotected public network where theoretically anyone could access the network and try to steal your data. VPNs have different encryption protocols; each with a different level of protection. Here are the main ones you will come across. OpenVPN is an open source VPN protocol that is very widely used in commercial VPNs due to its fast speeds and its strong encryption and security. It can be used on pretty much all operating systems, although you will often need to download a special app if you want to configure the VPN yourself. All in all, it is one of the best VPN protocols out there. This option uses two protocols together to form the VPN. L2TP is the VPN protocol, however it doesn’t offer any encryption. This is where IPSec comes and the two protocols work together to provide the VPN and encrypt the data. However, this extra step means that it is slower than OpenVPN. It is also thought to be less secure than OpenVPN. PPTP is an older VPN standard. It is not as secure as OpenVPN or L2TP/IPSec and as such should be avoided where possible. Most VPNs use AES encryption to protect your data. There are three levels of AES encryption which are AES 128-bit, AES 192-bit, and AES 256-bit. As the numbers go up so does the encryption level and therefore the safety of your data. The problem, however, is that the time it takes to encrypt your data also increases. As such, it is best to choose an encryption level that suits both your security and usability needs. When using a VPN, the fact that your connection goes through a VPN server can also help increase your anonymity. It does this by hiding your individual IP address and instead only showing the IP address of the VPN server itself. If anonymity is really important to you, then you should make sure to choose a VPN with a no-logging policy. Some VPNs are required to log your data which means there could be a record of the websites you visit as well as your home IP. However, by choosing a VPN with a no logging policy there is little chance that they will be able to hand this data over as it literally won’t exist! Having said that, even though there will be no log of data sometimes even VPNs with a no-logging policy will have a log of the connections that have been made. Another thing you can do, which we will go into later in more detail, is to pay for your VPN using a voucher. This ensures that your payment details won’t be recorded on their system. Installing a VPN is generally very easy. Most VPNs come with an app that you will simply download onto your device. It is also possible to manually configure a VPN on most operating systems using settings obtaining from your VPN. Most VPNs nowadays come with programs/apps that can be installed on the operating system of your choice. This includes Windows, Android and iOS. This is the easiest way to install a VPN as it allows you to easily connect to and switch between any server that your VPN service provides. It is usually really easy to change any of the settings related to your VPN and some even allow you the option of simply choosing the fastest VPN server. When choosing which VPN to sign up to, making sure the service provides apps that work on all your devices is highly recommended. Most VPN providers will be happy to provide any information to help you set the VPN up so if you have any questions you can discuss it with your VPN providers in the live chat section of the website. If the VPN provider you choose doesn’t have an app for one of the devices you want to use it with or the device doesn’t support the app, then you can usually install the VPN manually. This option is built in to all major operating systems including Windows, OSX, iOS, Linux, and Android. While perhaps not as easy as using a VPN app, manually installing a VPN is not that hard either. However, before you do it, you will need to get some information about the VPN server from your VPN provider. This will include things such as IP address, VPN type, and any security settings. The major downside to installing a VPN like this is when it comes to server choice. While with an app you will usually simply have to select a different server location and press connect, if you choose to install a VPN manually you will have to configure each individual server that you want to use. Once you have done this it is possible to save the settings so it isn’t the end of the world but nonetheless, it is more time consuming than simply using an app. The final and slightly more difficult option is to install a VPN on your router. If you do this all traffic on your network will pass through the same VPN. This is a good idea if you have a lot of different devices and you want to ensure that all traffic on all your devices benefits from a VPN. Assuming you don’t simply want to buy a router with a VPN already installed, to get a VPN on your router you will generally have to install it yourself. This will usually involve switching up your router’s default firmware for DD-WRT firmware and then manually installing the VPN. As with manually installing a VPN on your operating system, the downside to this is that it won’t be as easy to use your VPN and change things such as the location as it is with using a VPN app. Also, before installing new firmware you should be aware that if something goes wrong during the installation process your router could be completely broken. It will also likely void the warranty if you have one. While it is only natural to want to save money, using a free VPN is not necessarily a good idea. These free VPNs promise to offer all the benefits of a paid VPN but without any of the cost involved. For most people, this will sound too good to be true and to be honest, that is usually the case. As well as the fact that the service and speed you receive almost certainly won’t be as good as with a paid VPN, you may also be putting your network’s security at risk. While there may be some free VPNs out there that offer a good service without any security risks, they are few and far between and the problem is it is hard to know which VPNs are a security risk until it’s too late. Take these two stories for example. Hola VPN was, at one time, an incredibly popular VPN service and add on for Chrome. However, at the height of its popularity it is was found that those signed up to the service weren’t only getting access to a free proxy but their computers were also being used as a free proxy. Secondly, take this research that was done into free VPNs on the Play store. It found that 84 percent of the VPNs they studied leaked users’ web traffic, while 38 percent contained malware or advertising. Some of the worst offenders had been installed tens of thousands of times. Basically, if you aren’t paying for your VPN, your VPN provider is going to need a different way to make money from you. Whether that is through adverts, selling your data, or using your connection as a proxy, it is more likely to happen on a free VPN than a paid one. Of course, this doesn’t mean that none of this stuff happens on any paid VPNs. It just means that it is much less likely to happen on one. If you research your VPN carefully and choose one with a good reputation, the likeliness of you having any of the above problems should be pretty much nil. When signing up to a VPN it can quite confusing due to the varying different prices you see on each website. Usually a VPN will be around $12 per month if you sign up to a monthly plan and will then get cheaper after that. It is also possible to try out the service you will get from a VPN with free trials or money back guarantees. Here are the main ways you will be able to pay for a VPN. Many VPNs out there will allow you to have a free trial or guarantee to give you your money back if you are unhappy with their service. This is great if you want to check whether or not a VPN will work with your device, unlock certain websites, or have speeds that are good enough for what you want to use it for. In the short term, this type of deal is the cheapest and it is especially good if you are unsure which VPN you want to use or whether or not you even need a VPN. It could also be used if you are planning to go on a short vacation and want to make sure you are secure and have access to the same websites as at home while away. However, the per month/per week price will usually work out more expensive than if you simply buy the product for the entire year. If you are just trying out a new VPN, a good idea could be to sign up for a weekly/monthly contract and then, if you like the service, sign up for the whole year to save some money. This will generally be the best deal and you can sometimes get savings of around 50% by signing up to an entire year in one go. If you are confident that the VPN you are choosing can give you the service you need then it will save you money in the long run by signing up to a one year plan. There is, of course, still the chance that the VPN provider’s service could slip and you’ll be stuck with a long contract with a VPN you don’t like. If this is the case, it could be worth checking if your VPN allows you to break the contract mid-term to get some money back. If you don’t want to take this risk, then stick to the shorter term contracts! Many people sign up to VPNs for increased anonymity. If this is the case, then you don’t necessarily want your card details associated with your VPN account. Because of this, some VPN providers allow you to pay for their service using gift cards from popular stores such as Walmart or Starbucks. While this will increase anonymity, it will often be slightly more expensive than if you simply use your card and as such is only really worth it if anonymity is an absolute priority. At under 3 dollars per month on the two year plan, PureVPN tops our list. It's got plenty of features too, including the new Virtual Router feature, which lets multiple device connect to a Windows PC which then routes off to the VPN. Great for letting everyone in your home get onto the VPN. Over 140 countries available, and you can Split Tunnel, which lets you choose to split certain traffic off down the VPN.... or not. At just over 3 dollars per month on the annual plan, PIA is a good choice to save some pennies. Possible to connect up to 5 devices at the same time, and you can use a SOCKS5 proxy server if you choose. There are less choices when it comes to country connectivity (25+), but all the important ones are in there. Hide.Me actually has a free option available, but it is rather limited. The cheapest paid option is a competitive $5 p/m. The paid version supports uncapped usage, 5 simultaneous connections and all the popular protocols, including OpenVPN. Access to over 30 countries. Unlimited usage and up to 5 concurrent device connections allowed. All the protocols, with its own one thrown in too (Chameleon), which helps circumnavigate VPN blocking. NordVPN is the priciest one on the list, with its cheapest plan coming in just over $5 p/m on the annual plan. Has it's own Double VPN feature, which uses 2 VPN tunnels in its path. Also has a kill switch (to avoid leaking your real IP should the VPN drop for any reason) and a no logs policy. There are loads of great, inexpensive VPNs out there. Most of the VPNs on this list can be bought for under $10 a month depending on the service you choose which is a great deal considering the benefits. If you want to buy a VPN in the cheapest way possible, the best thing you can do is sign up for a whole year. 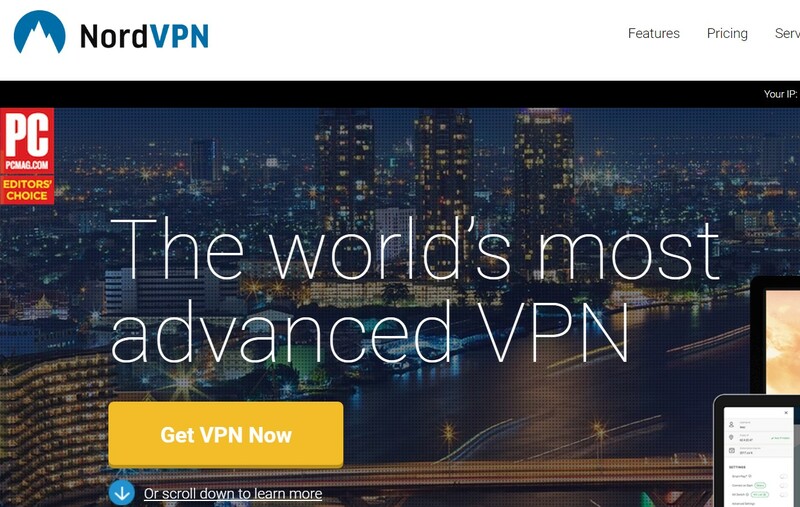 Some of the VPNs reviewed offer up to a 50% discount for customers who sign up in this way. All in all, these VPNs all offer great service and the best one for you will come down to your individual needs and tastes. Wow! Attractive deals by each company. It makes me confuse which one to go for, cheapest one right now is PureVPN’s 5 year subscription for $79, that makes it around $1.32 a month.